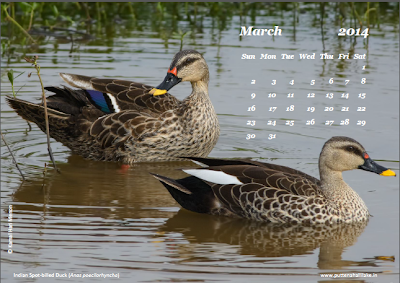 PNLIT is delighted to inform you that the PNLIT Calendar for 2014 is ready for printing. A sample page and snapshot of the 12 months are given below. As you can see, each of these birds is a beauty, shot in high resolution by PNLIT Shutterbugs making the calendar itself a collector's delight not just for the new year but for all time to come. 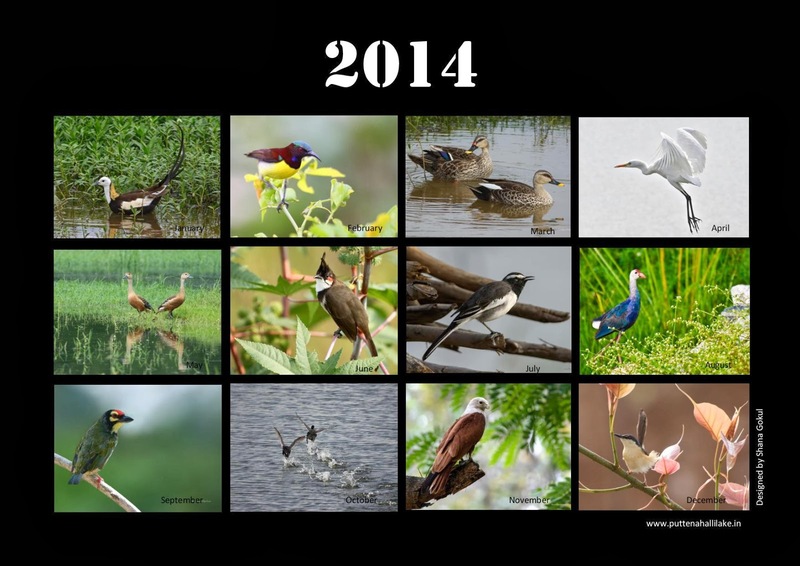 What makes the PNLIT calendar even more special is that these birds are seen in our own little neighbourhood lake, the result of PNLIT's effort to make Puttenahalli Lake an avian paradise! The desk top calendar will be printed on A5 size quality art paper, 8 sheets, back to back, with durable wiro binding. The cost per piece is only Rs. 200. Postage extra. Sale proceeds will be used for the upkeep of the lake. Buy a PNLIT Calendar for yourself! Gift it to your near and dear! To book your copies in advance email <puttenahalli.lake@gmail.com>. Corporate enquiries for bulk orders welcome. Please share this information with your contacts.